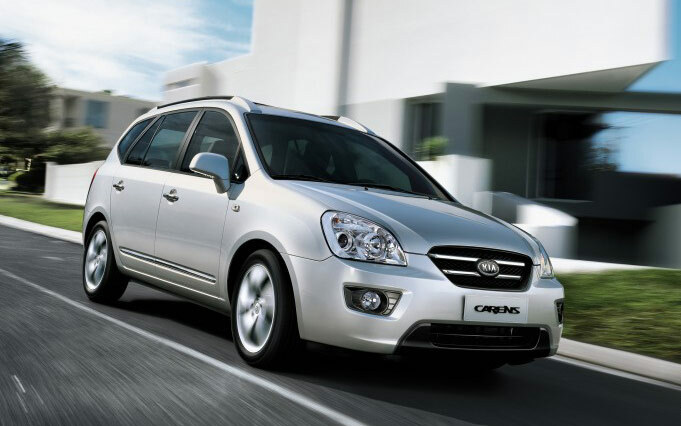 The Kia Carens offers a lot of seven seater MPV for the money. Buyers get a lot of space for their money and a car that offers very reasonable fuel economy. However the Carens is looking a bit dated compared to rivals with some hard grey plastics in evidence inside. It’s actually looking very dated compared to most of Kia’s own models but that is why you can get this seven seater MPV for thousands less than rivals which makes it one to consider if you are looking for good value for money. 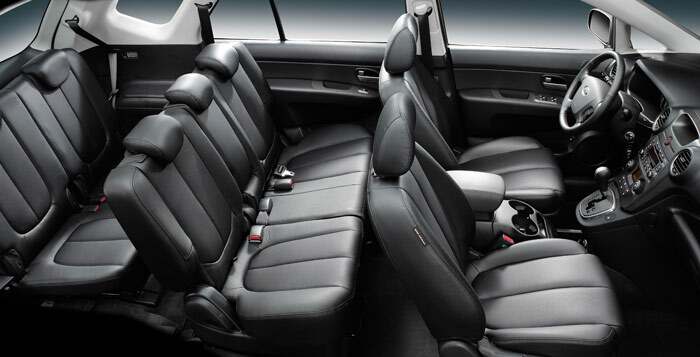 The cabin is spacious and the middle row seats slide to give either more leg room or more boot space. 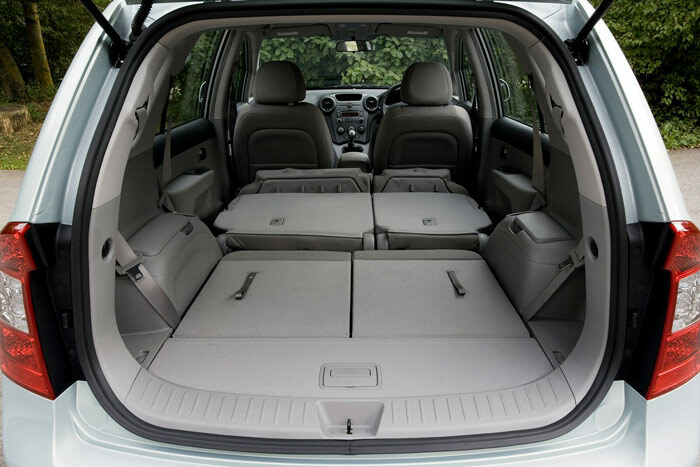 And there is an impressive 2,106 litres of boot capacity with the seats folded. Unfortunately you don’t get a fully flat load space here and with all seven seats in use you only get 74 litres of space available in the boot. This is barely enough for a couple of small bags. And bear in mind that the third row seats are really only suitable for children or for adults on a short journey due to lack of leg room and they are difficult to get access to. 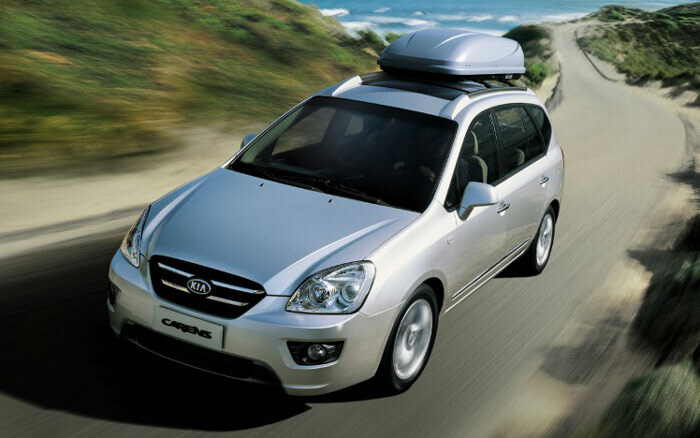 The Kia Carens achieved a four star rating for Adult occupants but only a three star rating for child occupant. In an era when most manufacturers achieve a five star rating for Adults at least that doesn’t sound too good. But in many ways this is a reflection of the age of the car. For it’s time the ratings were about average it is simply that cars have improved their collision safety in recent years. 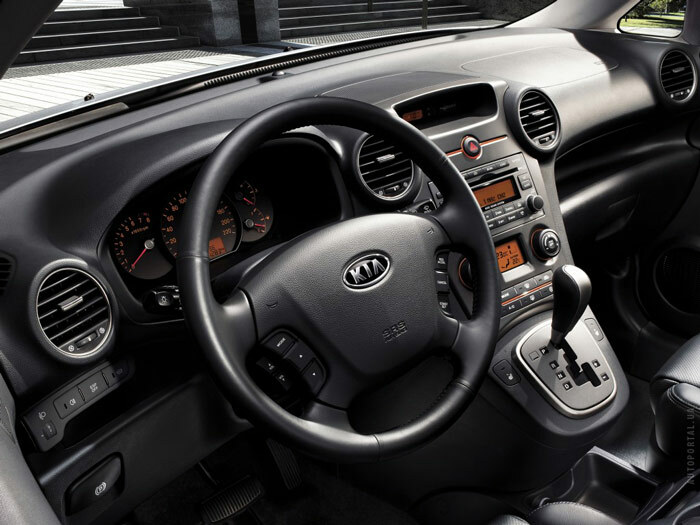 What the Kia Carens does have is plenty of airbags, ISOFIX seat fittings, ABS brakes with Electronic Brakeforce Distribution and Electronic Stability Control to help maintain grip in slippery conditions. 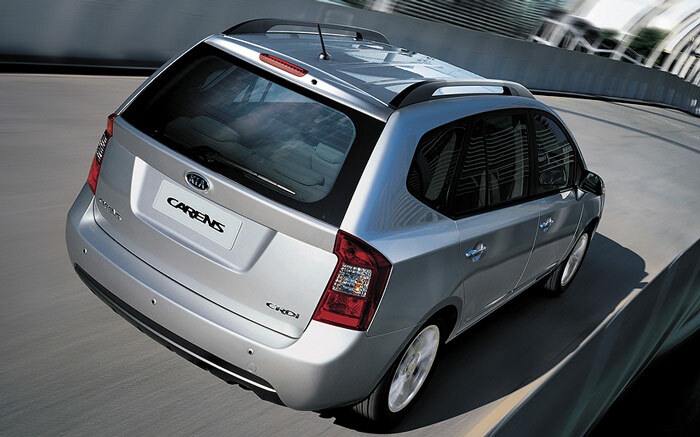 Although Kia have a petrol engine available on the Carens this is only on the five seat model. For the seven seat model you have one diesel engine whichever trim level you go for. This is a 1.6 litre engine which delivers 126 bhp, takes the car to 60 miles per hour in 12.1 seconds and achieves a top speed of 111 mph. Non of which is going to set your pulse racing but is perfectly adequate when you also get an average mpg of 50. The cabin is looking very dated and whilst it is not uncomfortable it doesn’t have the minor adjustments that drivers have come to expect such as a fully configurable steering column that can be adjusted for reach as well as height. Once the Carens gets up to speed on the motorway the ride is quite smooth, although wind noise does intrude into the cabin. Whilst the suspension is soft larger bumps are felt in the car and it tends to roll around corners. However if there are five people travelling in the Carens it is spacious and the seats are comfortable. All Kias are covered by a seven year warranty so you have peace of mind for a good few years. And Kias also have a decent reputation for reliability so you shouldn’t have too many problems owning this car. Costs are about average for this car. The 1.6 diesel should return just under 50 mpg and Kia’s reliability and seven year warranty should mean that there are not too many unexpected costs incurred. A value for money option if you are looking for a seven seater and willing to accept you are not getting the latest technology.